Gleaming appeal. 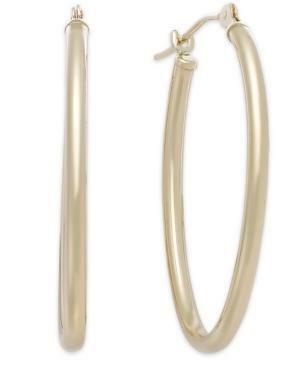 These polished, oval hoop earrings are crafted in 14k gold. Approximate diameter: 1-1/8 inch x 3/4 inch.